0628 In Persia, Kavadh sues for peace with the Byzantines. 1366 Birth: Henry IV, King of England 1399-1413, is born at Bolingbroke Castle, Lincolnshire. Find the castle remains on this map. 1367 John of Gaunt and Edward the Black Prince win the Battle of Najara, in Spain. 1528 In Cologne, German reformer Adolf Clarenbach, 28, is arrested for teaching Protestant (some say Anabaptist or Waldensian) doctrines. 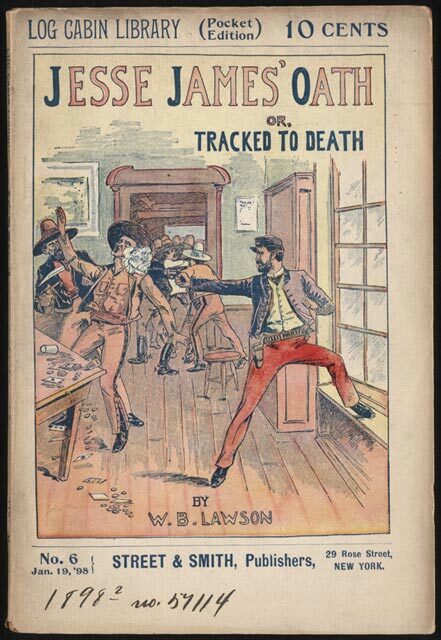 The following year, Clarenbach will be burned at the stake. 1559 Philip II of Spain and Henry II of France sign the Treaty of Cateau-Cambresis in France, ending a long series of wars spanning almost 60 years, between the Hapsburg and Valois dynasties. 1679 Edmund Halley meets Johannes Hevelius in Danzig. Above: "Johannes Hevelius integrated Edmond Halley's southern hemisphere observations into his star atlas of 1690...A curious aspect of Hevelius' star atlas is that the stars are shown as if they had been projected onto a sphere and looked at from the outside (just like the Brazilian flag [more]). A kind of Aristotelian deity's point-of-view..."
1721 Sir Robert Walpole is appointed first lord of the treasury and chancellor of the exchequer, effectively becoming Britain's first prime minister. 1776 US Revolutionary War: Harvard College confers the first honorary Doctor of Laws degree to George Washington. 1783 Birth: Washington Irving, American writer; The Legend of Sleepy Hollow, Rip Van Winkle. 1783 Sweden and the US sign a treaty of Amity and Commerce. 1800 Martha Washington became the first US Presidents wife to be allowed to â€˜frankâ€™ mail (not pay the postage), a perk traditionally bestowed upon politicians at post office expense. 1822 Birth: Edward Everett Hale, American clergyman and author; Man without a Country. 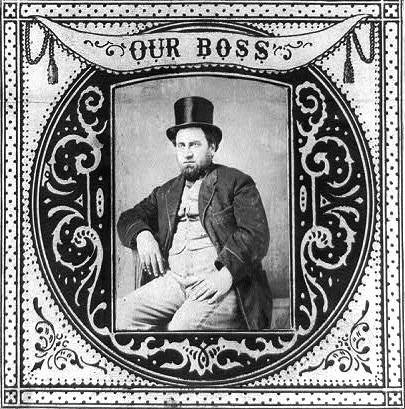 1823 Birth: William Macy Tweed, better known as 'Boss Tweed,' corrupt New York City political powerhouse. 1829 James Carrington of Connecticut patents the coffee mill, even though coffee milling devices had been available for hundreds of years, dating back to the Greek and Roman Empires. 1837 Birth: John Burroughs, writer, nature enthusiast; will found what later will become the Burroughs Corporation, Burroughs Medal namesake. 1842 Birth: Hermann Karl Vogel, German astronomer. 1865 US Civil War: Union forces occupy the Confederate capital of Richmond, Virginia. 1866 Rudolph Eickemeyer and G. Osterheld, of Yonkers, New York, patents a blocking and shaping machine for hats. 1889 The Savings Bank of the Order of True Reformers opens in Richmond, Virginia. 1898 Birth: Henry R. Luce, magazine publisher, founder of Time, Fortune and Life, 1965 Fisher Award. 1913 Leading suffragette Emmeline Pankhurst is jailed for three years for inciting supporters to place explosives at the London home of David Lloyd George. 1918 WW1: The US House of Representatives accepts American Creed written by William Tyler. 1918 WW1: The Allied Supreme War Council, in a meeting at Beauvais, appoints Ferdinand Foch as supreme commander of Allied forces, including the Americans. Foch Immediately sends reserves to aid the British at the Somme. 1922 Weimar: W.A. Harriman & Co. opens its European headquarters in Berlin with the aid of the Hamburg-based M.M. Warburg & Co. Government investigators later said it was during this time that Harriman first became acquainted with the German industrialist, Fritz Thyssen. Harriman subsequently agreed to set up a bank for Thyssen (Union Banking Corporation) in New York City. The following year, Thyssen will become one of Hitler's largest financial backers. 1922 The new Central Committee of the Communist Party in Russia appoints Joseph Stalin as General Secretary of the Communist Party and de facto leader of the country. 1926 Birth: Virgil Gus Grissom, in Mitchell, Indiana, Lieutenant Colonel USAF, astronaut; Mercury 4, Gemini 3. 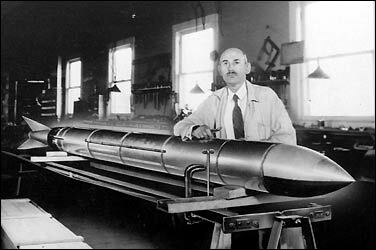 1926 American rocket scientist Robert Goddard launches his second liquid-fueled rocket. 1930 Birth: Helmut Kohl, former German chancellor. 1930 Ras Tafari is proclaimed Emperor Haile Selassie of Ethiopia, formerly Abyssinia. 1933 Church and Reich: The Kreuz und Adler (Cross and Eagle) organization is founded by Catholic supporters of the new Nazi state. Formation of this group is initiated by Papen, who assumes the title of Protector. 1933 First Lady Eleanor Roosevelt informs newspaper reporters that beer will be served at the White House. This follows the March 22 legislation legalizing "3.2" beer. 1933 The first flight over the peak of Mount Everest in the Himalayas is made by four Britons in two Westland biplanes. 1934 Birth: Jane Goodall, in London, England, ethologist; will study African chimps. 1936 Bruno Hauptmann is executed by electrocution in Trenton, New Jersey, for the kidnap and murder of the Lindbergh baby. 1940 Diary of Leon Gladun: We've spent Christmas and Easter here. From the 3rd of April the transports began departing. Note: Transports go to execution and burial sites in Katyn Forest--the Poles assume they are being released or exchanged. 1941 WW2: The British evacuate Benghazi in the face of the German advance. 1942 WW2: The Japanese begin their all-out assault on the US and Filipino troops at Bataan. 1943 WW2: The German defenders continue to hold off attacks by Patton's troops around El Guettar. 1944 The US Supreme Court rules that black citizens are eligible to vote in all elections, including primaries. 1948 President Harry S. Truman signs the Marshall Plan, which allocates more than $5 billion dollars ($5.33b) in aid for 16 European countries rebuilding efforts after WW2. 1949 Transjordan sign an armistice with the newly founded state of Israel. 1964 The US and Panama agree to resume diplomatic relations. 1968 Less than 24 hours before he will be assassinated in Memphis, Tennessee, civil rights leader Martin Luther King Jr. delivers a speech to a rally of striking sanitation workers. 1970 Miriam Hargrave of England passes her driving test on the 40th try. 1972 Charlie Chaplin returns to the United States after a twenty-year self-imposed exile. 1974 Gold hits a record $197 an ounce in Paris. 1977 Egyptian President Anwar Sadat and President Jimmy Carter meet for the first time. 1982 The UN Security Council votes 10-1 in favor of Resolution 502 demanding withdrawal of Argentine forces from the Falkland Islands. 1990 A delegation from the rebellious republic of Lithuania meets with an adviser to Soviet President Mikhail Gorbachev. 1991 The UN Security Council approves a Gulf cease-fire resolution stripping Iraq of weapons of mass destruction, impounding part of its oil revenues to pay reparations and paving the way for the withdrawal of US occupation troops. 1994 Minority Croats in Sarajevo celebrate the Bosnian capital's first Easter at peace since 1991, cramming into the main Roman Catholic cathedral to pray for the new calm to last. 1996 Death: US Commerce Secretary Ron Brown, when his plane crashes in Croatia, killing all 29 passengers and six crew members aboard. 1996 Theodore Kaczynski is arrested, accused of being the Unabomber. 1999 NATO missiles strike downtown Belgrade, destroying the headquarters of security forces accused of waging a campaign against Kosovo Albanians. 2003 US Secretary of State Colin Powell promises a UN role in the reconstruction of postwar Iraq.